It's IntLawGrrls' great pleasure to welcome Linda A. Malone (left) as today's guest blogger. 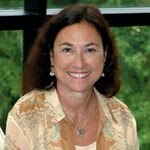 Linda, as we've posted in the past, is the Marshall-Wythe Foundation Professor of Law and Director of the Human Security Law Program at the College of William and Mary School of Law. She's been a Visiting Professor at the law schools of the University of Virginia, Washington and Lee, Duke University, University of Arizona, and University of Denver, and has taught law at the University of Illinois and University of Arkansas, Fayetteville. 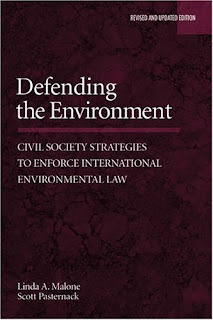 An original representative on the Environmental Commission of the World Conservation Union (IUCN), Linda is the author of numerous articles and books in the areas of international law, human rights, and environmental law. 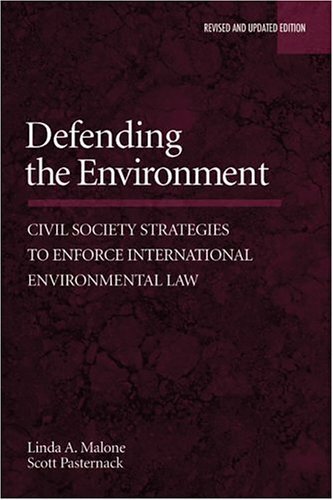 A recent example is the co-authored Defending the Environment: Civil Society Strategies to Enforce International Environmental Law (2006). Linda also was the Associate Editor of the Yearbook of International Environmental Law, has served on the Advisory Council to the National Enforcement Training Institute of the U.S. Environmental Protection Agency, and serves on the Board of Directors for the International Society for the Reform of Criminal Law, among many other professional affiliations. In her guest post below, she examines -- against the backdrop of the principle of responsibility to protect -- international responses to the conflict in Libya and to the tsunami in Japan. Linda was a delegate to the U.N. Conference on the Environment and Development in Rio in 1992, co-counsel to Bosnia-Herzegovina in its genocide case against Serbia and Montenegro before the International Court of Justice, co-counsel to Paraguay in its challenge to the death penalty in Paraguay v. Virginia, and an amicus co-counsel in the U.S. Supreme Court in Padilla v. Rumsfeld (2004) and Hamdan v. Rumsfeld (2006). In 2009-2010, Linda held the Fulbright Distinguished Chair in International Environmental Law at the University of Turin, Italy, and in 1998, she received the Fulbright/OSCE Regional Research Award for her work on women's and children's rights in Eastern Europe. She's served on the Special Subcommittee on the Rights of the Child for the American Bar Association, and she received the Millennium Award of the Virginia Women's Bar Association in 2000 for her contributions to women's rights. Linda earned her B.A. from Vassar; her J.D. from Duke, where she was Research and Managing Editor of the Duke Law Journal; and her LL.M. from the University of Illinois. She clerked for Judge Wilbur F. Pell of the U.S. Court of Appeals for the Seventh Circuit, and practiced law in Chicago and Atlanta before joining the faculty at William and Mary.